Frontier Tank Lines provides up-to-date fuel inventory management for our customers across Texas, New Mexico, & Oklahoma. Our goal it to keep your your business fueled and running. We help you monitor all your inventory and bulk storage tanks, not just to prevent “empty” or “run out” status, but ensure you’re not “over-purchasing” as well. 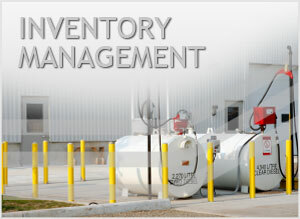 We keep track of all our fuel inventory management customers remotely through secure web-based monitoring. We provide the following types of fuel with all Fuel Inventory Management service: Biodiesel, Crude Oil, Diesel, Diesel Exhaust Fluid (DEF), Ethanol, Gasoline, & Jet Fuel. Frontier Tank Lines can help you manage you fuel inventory, call us now at (800) 291-7876.